The contract for a short-term holiday rental shall be entered into between the Client and Upper Court. The contract will be regarded as having been entered into at such time that Upper Court issues the confirmation form. The contract shall be subject to and bound by the following terms. For bookings made more than eight weeks before the commencement of the rental a deposit of one third of the rental fee is payable upon submission of the Booking Form. Non-payment of the balance of the rental on or before the due date shall be construed as a cancellation of the contract by the Client. For bookings made less than eight weeks before the commencement of the rental, the total rental fee is payable upon submission of the Booking Form. For bookings made less than two weeks before the commencement of the rental, no cheques can be accepted. All payments shall be made to H. W. Herford at the address on the bottom of the Booking Form. In the event that the you intend to cancel the booking at any stage, Upper Court should be notified immediately both via telephone and in writing (via email to info@uppercourt.co.uk). If Upper Court are not able to re-let the accommodation, you will lose your deposit and will be liable for the full booking fee. We strongly advise that at the time of booking, you insure against the risk of cancellation. This insurance is not compulsory but will protect against unforeseen circumstances. Cancellation insurance is provided through Bookings Protect in accordance with their terms and conditions which can be found here. Value Added Tax (VAT) is levied on all bookings and is included in the rental fee. Rentals commence, unless otherwise notified, at 16:00 on the date of arrival and terminate at 10:00 on the date of departure. The number of persons occupying the property must not exceed the maximum number stipulated in the brochure or on the website. In addition, the number of persons occupying the individual dwellings may not exceed that of their advertised capacities. Upper Court reserves the right to refuse entry to the entire party if this condition is not observed. All complaints must be communicated to Upper Court immediately so that an on-the-spot investigation may take place and remedial action taken if so required. In no circumstances will compensation be paid for complaints raised subsequent to the tenancy ending. The Client shall take all reasonable and proper care of the property and its furniture, pictures, fittings and effects in or on the property and leave them in the same state of repair and in the same clean and tidy condition at the end of the rental period as at the beginning. Upper Court reserves the right to charge the Client for any breakages, damages or extra cleaning required of the property found on or after departure and the Client agrees to provide payment details on request for this charge. In the event of the cottage keys not being left or returned on departure a charge for replacement will be made. The tenant agrees not to cause an annoyance or become a nuisance to other guests. Pets are only allowed in the Coach House cottage downstairs area. A charge of £10 per pet per night will be charged to cover additional cleaning costs. A maximum of 1 pet only allowed. Upper Court, its employees and agents do not accept third party liability in respect of breach of contract, negligence, misrepresentation or otherwise. Upper Court accepts no liability in the event of any accident, injury, loss or damage sustained by any resident, their family, visitors, vehicles or personal effects, howsoever caused. Upper Court does not warrant and is not responsible for the accuracy of any verbal information given or statements made by any of its servants or agents. Clients must accept responsibility for their children’s safety at all times. No child may use the swimming pool, the playground or take out the boat without the express supervision of an adult. Upper Court, its employees and agents may not be held liable for damage sustained through failure on behalf of the Client to comply with this term. Upper Court reserves the right to change any published rates. 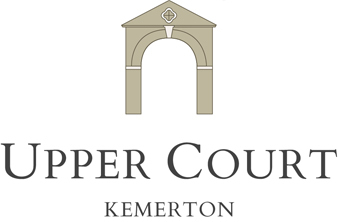 Upper Court reserves the right to decline accommodation and to order any unauthorised person off the premises. Upper Court reserves the right to enter premises at any time but will always endeavour to do so when convenient to guests.